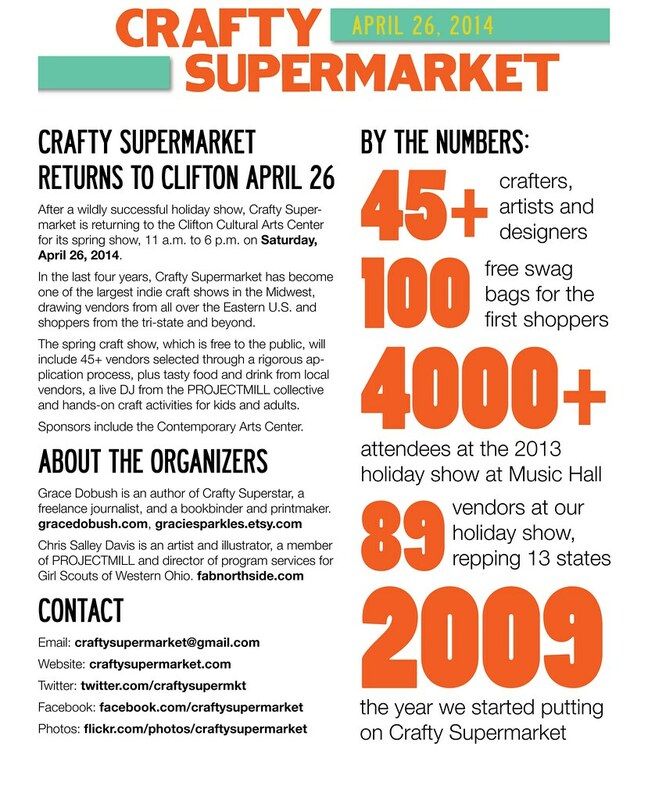 Entering its fifth year, Crafty Supermarket has put out a call for artists for their semi-annual craft fair which will be taking place at Clifton Cultural Arts Center on Saturday, April 26. If you're knitting, welding, beading, baking, ceramic-ing, or any other kind of hobby that results in a handmade product, definitely throw your name in the hat to be one of 45 vendors for the spring show! With over 4,000 people attending their previous show in December, you're basically guaranteed to make bank at your booth. Each vendor space costs $85 and comes complete with a table and two chairs. Think you might have a ware someone would purchase to wear? Check out the easy application page. All applications must be submitted by 11:59pm on Saturday, March 1.